The HH-65 Dolphin was manufactured by Aerospatiale Helicopter Corporation to serve as a replacement helicopter to the aging Sikorsky HH-52 Sea Guard. The Dolphin, originally named as the SA366 G1 Dauphin, was selected by US Coast Guard in 1979. It was to serve as the body’s new short range recovery air-sea rescue helicopter. When it comes to design, as any enthusiast would’ve guessed, the Dolphin was developed from the Eurocopter AS365 Dauphin. However, the HH-65A did have specs unique enough to warrant a separate name and designation. The helicopter was specially optimized for search and rescue missions. Unlike the aircraft that it replaced, the HH-65A cannot perform water landings. A few recognizable features of the helicopter are its Fenestron tail rotor and autopilot function. Throughout their service life, the Dolphin helicopters flew mainly patrols for homeland security and missions for cargo, drug interdiction, ice breaking, and military readiness, among others. The HH 65 helicopter is deployed across the nation through fleets hosted by at least seventeen cities which include: the CGAS Atlantic City, the CGAS Los Angeles, the CGAS Savannah, and the CGAS Corpus Christi. Witness the excellence of helicopter technology through the unit that is used across the country. The helicopter scale model of the Dolphin proudly showcases a sleek design and look that won’t disappoint even the most meticulous enthusiast and collector. 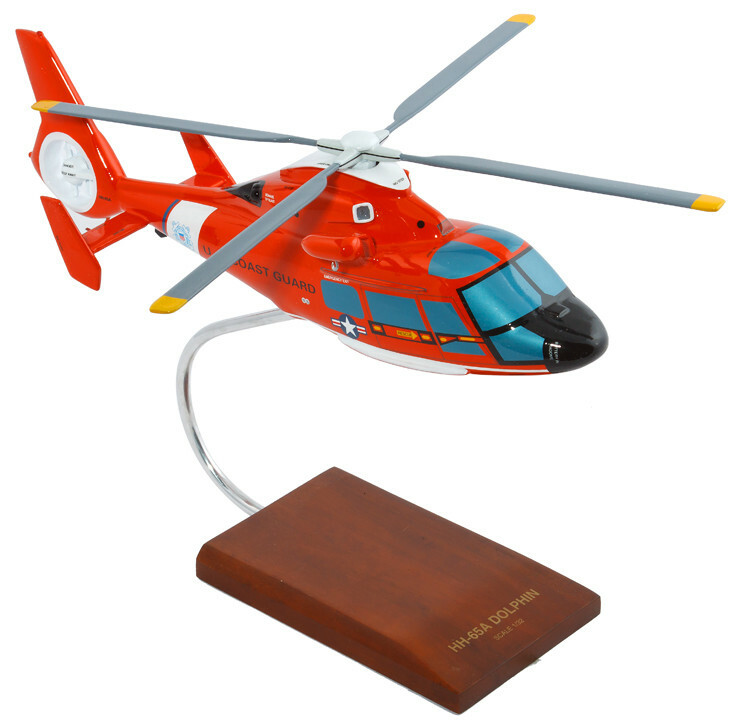 Get this wooden helicopter model today.